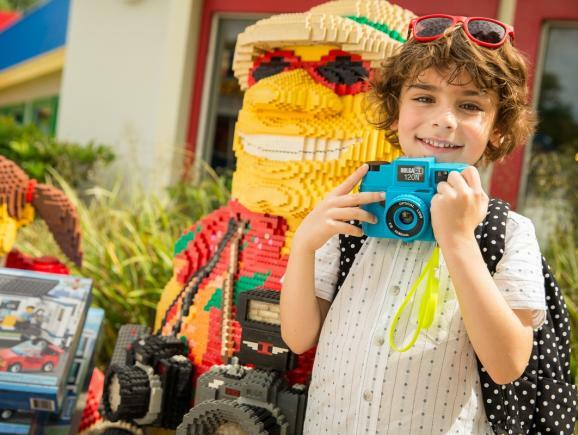 LEGOLAND Florida tickets offer exclusive access to a theme park experience like no other, specifically aimed at children aged two to twelve. 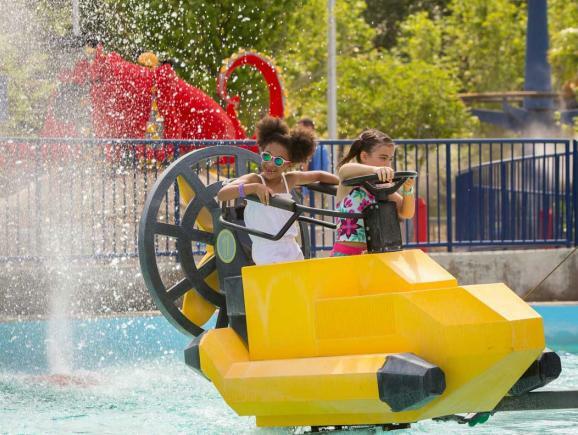 The 150-acre park offers over fifty rides, thousands of amazing LEGO® models, shows and activities. There's enough entertainment to last a lifetime! 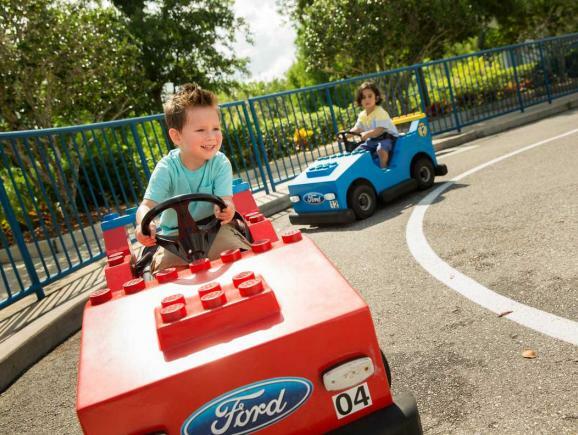 Just forty minutes from Orlando, LEGOLAND® Florida Resort is geared towards family fun and uses ingenious teaching techniques to combine fun with learning. 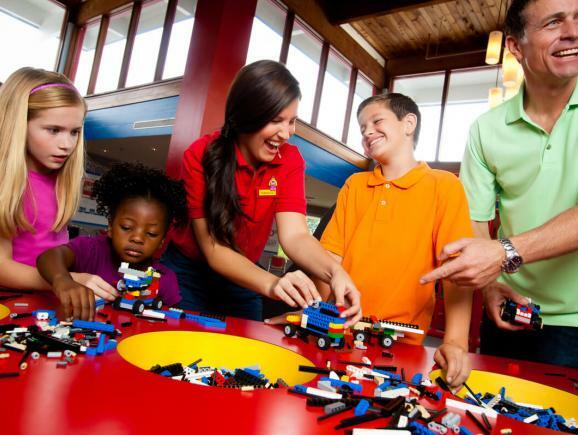 While the children grow excited showing off their skills and knowledge at LEGO City’s driving school or building and testing their very own cars at Imagination Zone, adults will be thrilled by LEGOLAND® Florida Resort’s understanding of the child’s mind and the interactive family fun the park provides. 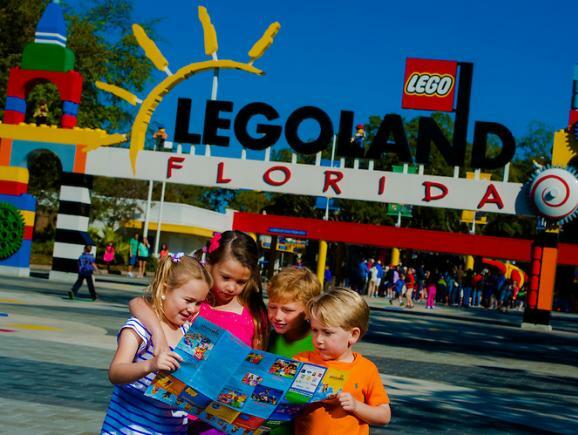 With your LEGOLAND® Florida Resort tickets, walk through LEGO built cities and witness LEGO architecture constructed on a life size scale. 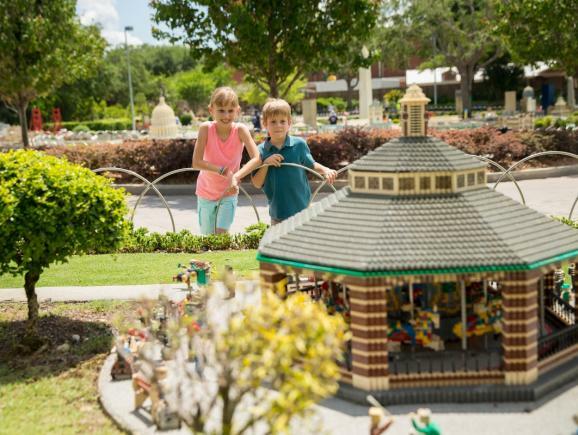 Be enchanted by Miniland USA, LEGO’s rendition of some of America’s most alluring cities; one moment you could be walking through New York’s buzzing Times Square and the next strutting down Las Vegas’ infamous Strip. 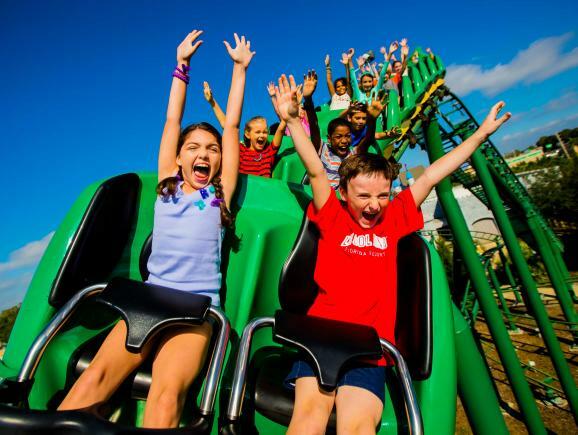 Venture to the Land of Adventure, where children can ride the Coastersaurus, a junior roller coaster that journeys through a prehistoric LEGO jungle inhabited by dinosaurs. 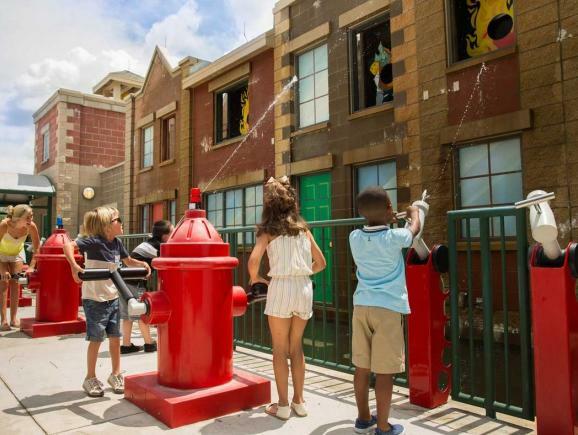 Explore great areas including 'City' - featuring a Driving School where children earn their first "driver's license" and families compete on Fun Town Fire Academy - a competitive ride that challenges families to get a fire truck from one side to another and put out a faux fire. 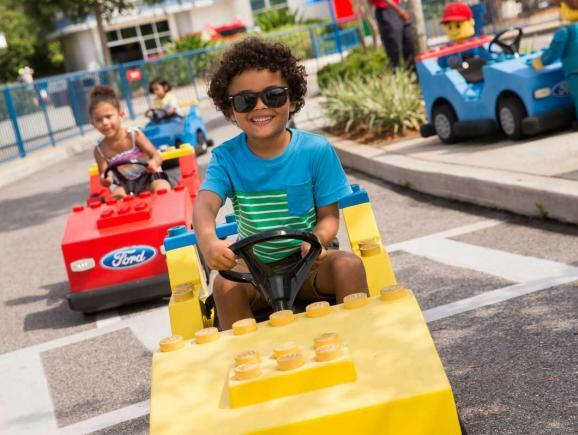 For families with much younger children, LEGOLAND® Florida Resort offers a toddler-sized DUPLO Village specifically for the little people. 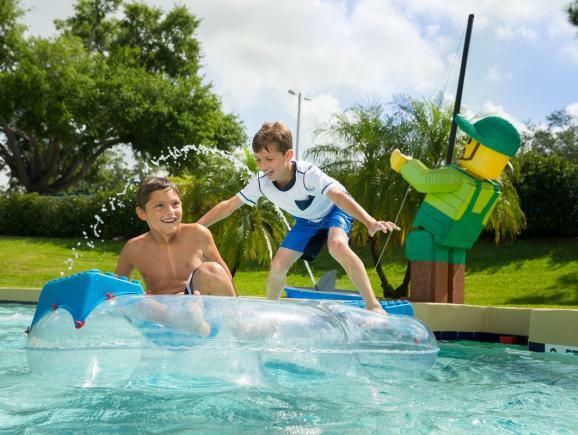 LEGOLAND® challenges YOU to become a master of Spinjitzu at the all new LEGO® NINJAGO™ World! 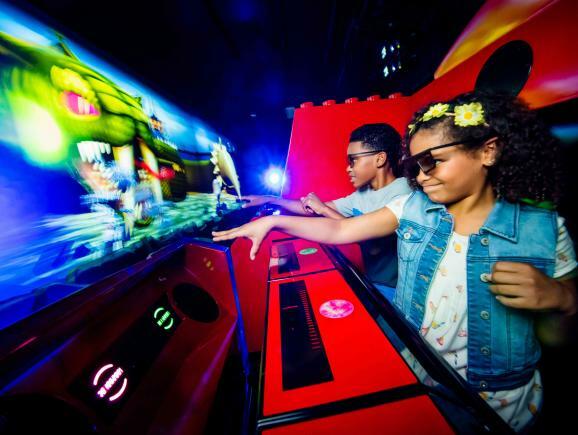 Join your favourite heroes and take on awesome training activities as you prepare for the ultimate test of your ninja skills on LEGO® NINJAGO™ The Ride! Blast animated fireballs, lightning and more at a sinister gallery of villains before teaming up to defeat a powerful foe. Track your score against friends, family and other guests, then ride again!" 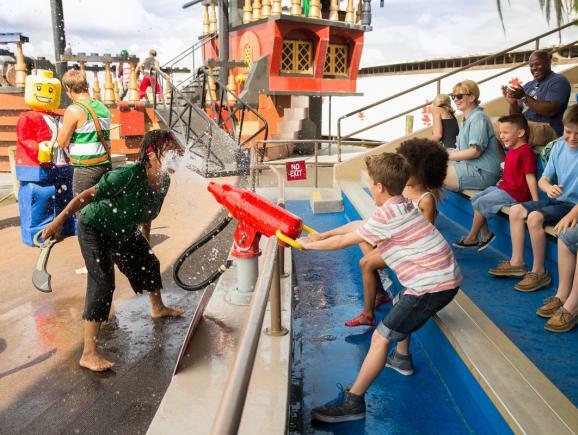 The LEGO World of Chima, presented by Cartoon Network, features an immersive family experience with an interactive water ride, The Quest for CHI, a super-charged Speedorz™ Arena, Cragger’s Swamp water play area, a new 4D movie experience and character meet-n-greet sessions. At LEGO® STAR WARS™ Miniland you can enjoy seven of the most famous scenes from the six live-action Star Wars movies, as well as a scene from the animated series Star Wars: The Clone Wars™ all made out of 1.5 million LEGO® bricks built in 1:20 scale. Guests will be further immersed into the Star Wars experience as they pose with life-size LEGO models of Chewbacca, R2-D2 and Darth Vader. 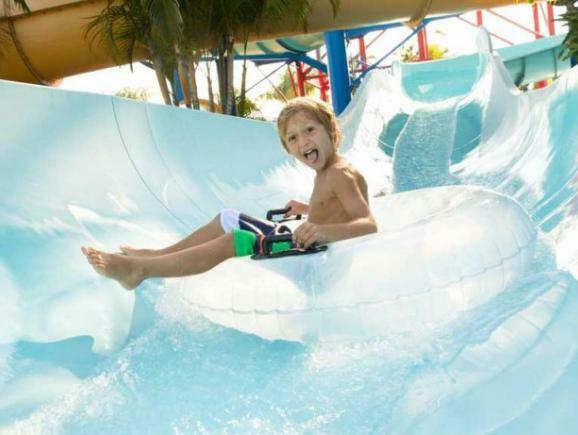 Located within LEGOLAND® Florida Resort, LEGOLAND® Florida Water Park features a host of LEGO-themed slides, attractions and play areas including a LEGO Wave Pool, Twin Chaser tube rides, body slides, Joker Soaker interactive playground and a DUPLO® Splash Safari area designed exclusively for toddlers. 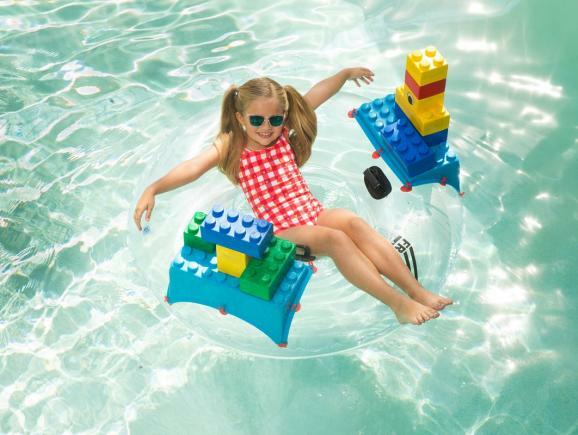 Families can even imagine, design and build a unique LEGO vessel and set afloat on a maiden voyage around the 1000-foot-long lazy river, set amongst playful LEGO Friends, flowering vegetation and palm trees! 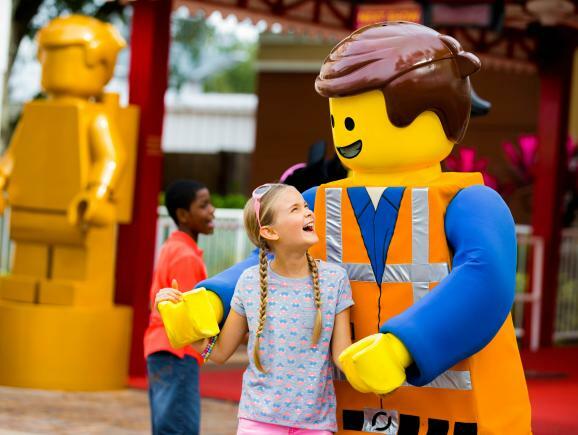 LEGOLAND® Florida is open daily except Wednesdays between 1 January-13 February and Tuesdays and Wednesdays 5 September-12 December. Gates open at 10.00am. 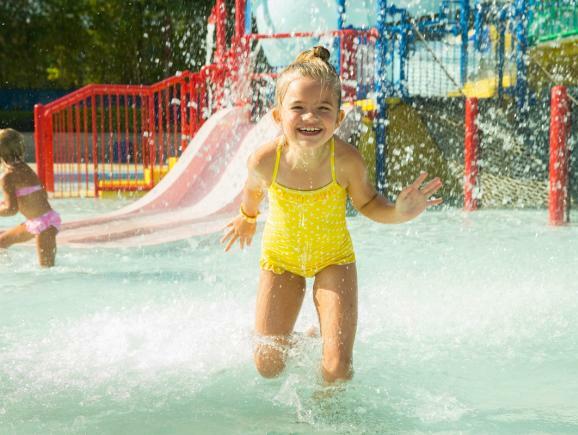 LEGOLAND® Florida Water Park is open daily from 9 March-27 October except Tuesdays and Wednesdays between 3 September-23 October. 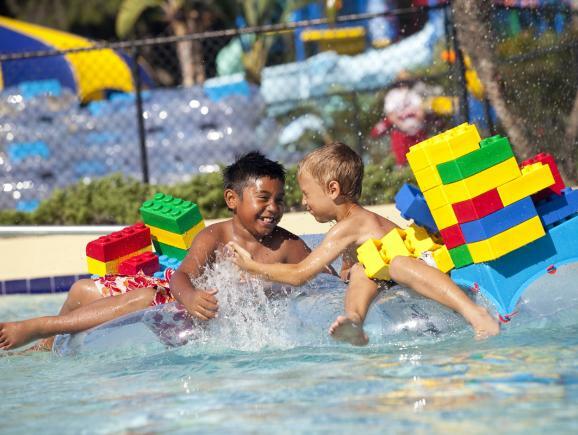 LEGOLAND Water Park is closed during the winter months. Gates normally open at 10.30am. 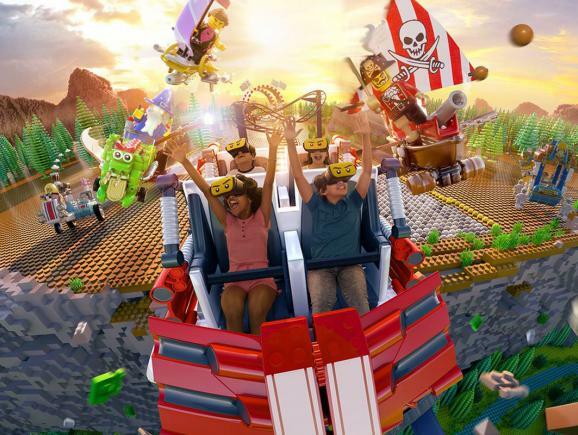 Get ready for the Great LEGO Race, a virtual reality rollercoaster experience where you are invited to not just ride a themed roller coaster, but to literally buckle up and go for a ride inside the most incredible, exhilarating and fun LEGO race ever created! 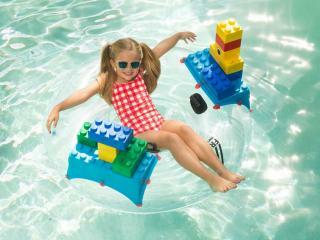 Minimum Height - Children must be accompanied by an adult if smaller than 48 inches. 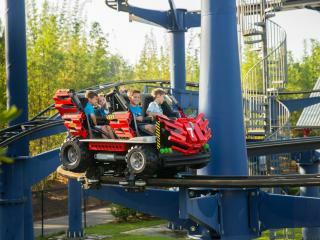 Prepare for the ultimate test of your ninja skills on LEGO® NINJAGO™ The Ride! Blast animated fireballs, lightning and more at a sinister gallery of villains before teaming up to defeat a powerful foe. Track your score against friends, family and other guests, then ride again!" 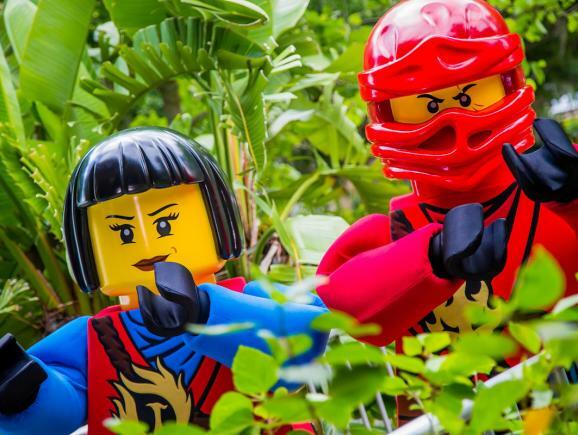 In this epic adventure, families will unleash the power and battle with water cannons in a journey through the diverse world of Chima where they will meet some of the highly advanced animal tribal habitats to help their hero Laval the Lion Prince defeat Cragger the Crocodile King in his quest to steal the mystical energy source, CHI. Minimum Age - Junior Driving School: 3-5yrs. Driving School: 6-13yrs. 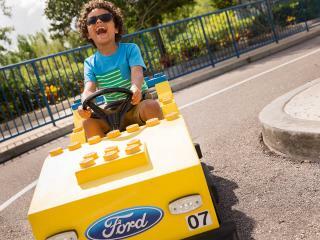 A “real-life” driving experience for children ages 6 through 13, where kids receive their official LEGOLAND driver’s license. Families race to put out a “blaze” by piling into a “fire truck” and power it by pumping levers across a paved straightaway. The first family to put out the fire and make it back wins! 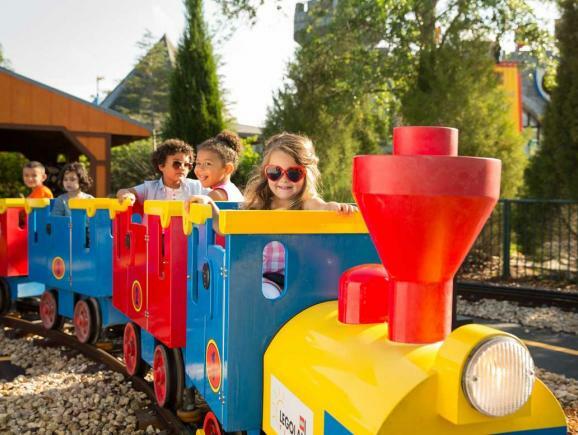 An indoor/outdoor steel roller coaster that features a hilarious, behind-the-scenes view of life within the enchanted LEGOLAND Castle. 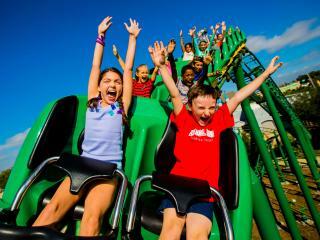 This wooden coaster curves and dips in and around a prehistoric jungle of animated and life-sized LEGO brick dinosaurs. 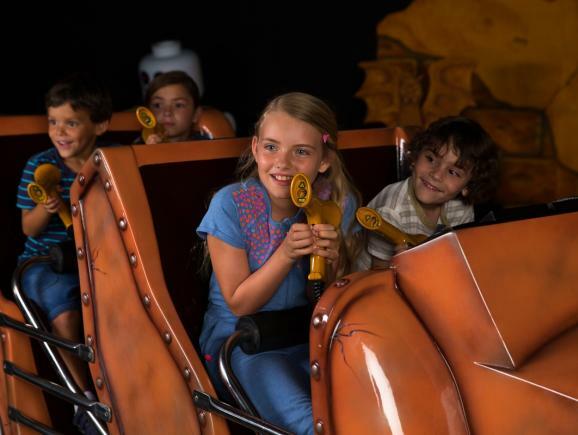 This spectacular dark ride invites guests to fire laser blasters at targets and brave the rugged Egyptian landscape in all-terrain roadsters, while attempting to unearth the vast treasures of a forgotten empire. 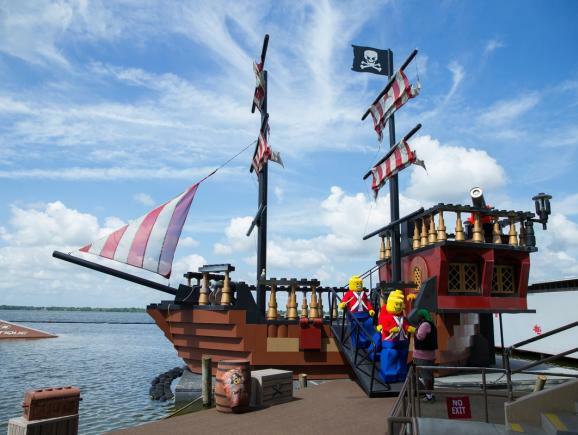 Pirates’ Cove is home to LEGOLAND Florida’s very own water ski and stunt show, The Battle for Brickbeard’s Bounty, as well as Cap’n Brickbeard’s Burgers. 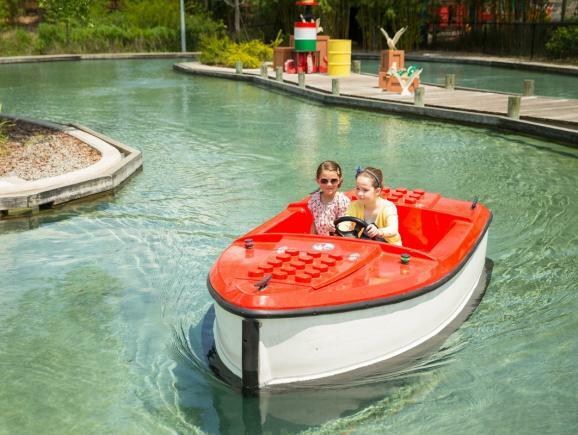 Miniland USA the heart of every LEGOLAND Park, Miniland USA is home to seven specially themed areas including New York, Las Vegas, Florida, Kennedy Space Center, California, Pirate Shores and Daytona International Speedway. 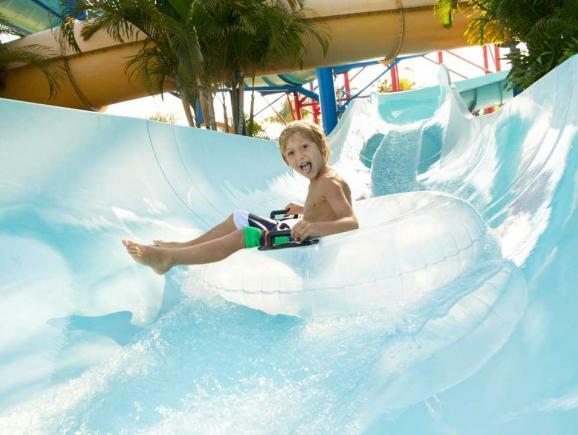 Riders zip in and out of waves as they dodge water blasters on this dual water carousel ride. The battle for CHI continues in the Speedorz™ Arena where players compete to win the precious supply of CHI by racing their Speedorz through a series of obstacles. Guests can enjoy seven of the most famous scenes from the six live-action Star Wars movies, as well as a scene from the animated series Star Wars: The Clone Wars™ all made out of 1.5 million LEGO® bricks built in 1:20 scale. Guests will be further immersed into the Star Wars experience as they pose with life-size LEGO models of Chewbacca, R2-D2 and Darth Vader. Launch 15-feet up toward intricate, brightly jewelled LEGO scarab beetles perched atop two monumental obelisks. 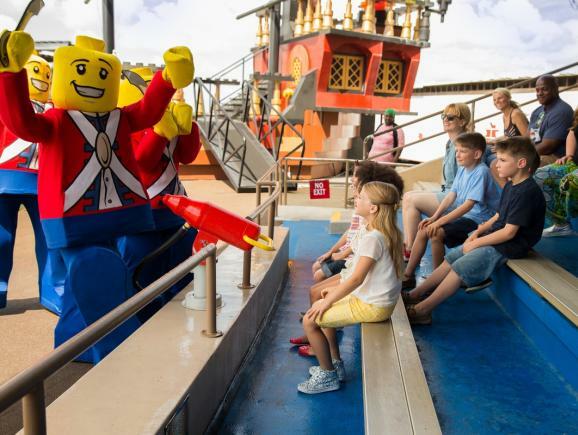 Island in the Sky is a 150- foot rotating platform that gives guests a 360° view of LEGOLAND Florida. Currently closed for annual maintenance. 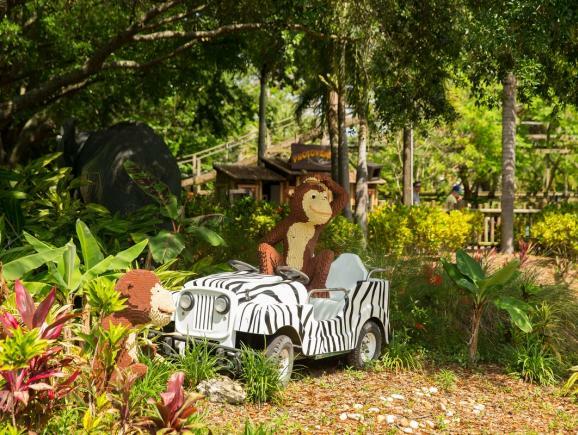 This double-decker carousel is the centrepiece of Fun Town. 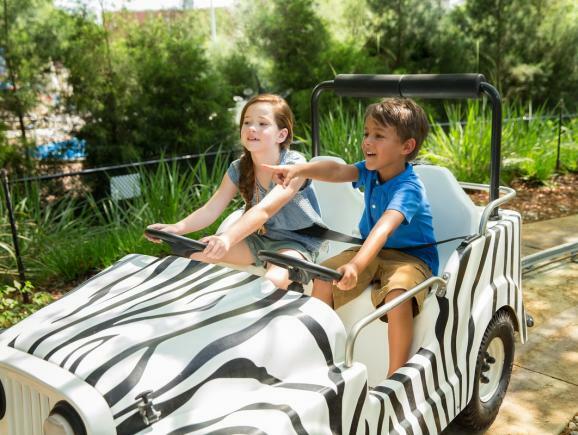 Children can choose their favourite horse and giddy up! 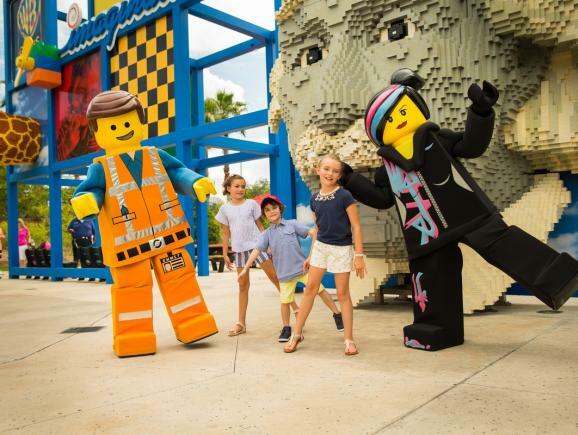 This is LEGOLAND's largest indoor theatre and 4-D movies are shown throughout the day to over 700 guests per viewing. 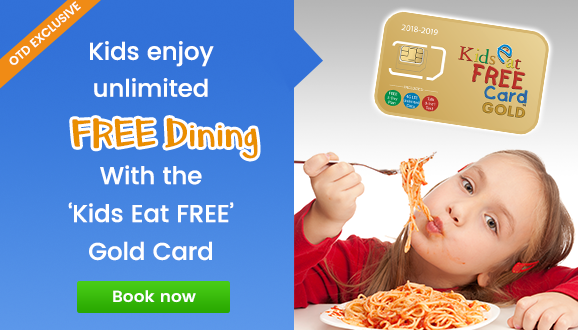 Great for both children aged 3 and 8. 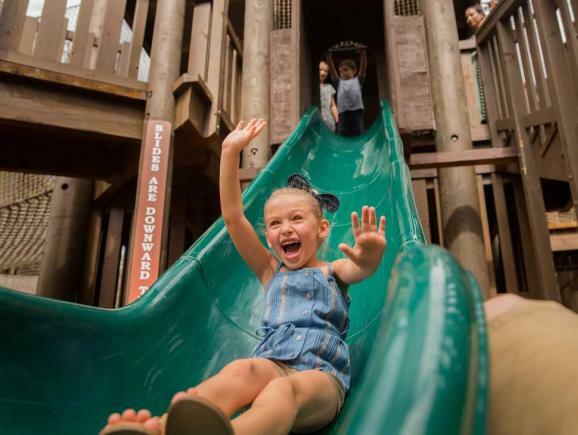 Clean and fun park.